This week, for the fifth year running, the BiG Africa Summit will be held in Johannesburg. The continent’s biggest gambling conference is scheduled to be held at the Emperors Palace Hotel and Casino on November 7th and 8th. The project director from Eventus International promised that this installment of BiG Africa would be the biggest and best so far. 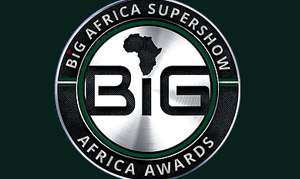 The lineup at this year’s conference certainly seems to indicate that the BiG Africa Supershow will live up to its name. Representatives from over 200 companies will meet together at the Johannesburg casino to learn about trends in the ever-growing African igambling market. Presenters, regulators and exhibitors will be sharing, networking and investigating in a bid to help develop the market. A question-and-answer session will take place, where over 30 speakers will provide input into Africa’s igambling space. Operators will learn about the many different opportunities available to those interested in working this market. Attendees will also explore the challenges that face suppliers, regulators and operators. • Local gaming associations and regulatory boards will provide important information about the latest gambling laws in South Africa and on the rest of the continent. Talks will be given by Sean Coleman of the South African Bookmakers Association, Prof. Ntshengedzeni Alfred Nevhutanda of the SA National Lotteries Board and Felix Mukaxe, a gambling inspector with Mozambique’s Gambling Board. • Sports betting operators will show why their companies are succeeding so well in South Africa, and talks will be given by people such as Martin Sack from Sun Bet, Tyrone Dobbin, MD of Sportingbet and Craig Venter of Clickabet.